Real Estate is a natural for Marilyn as she is one of those rare “natives” of the Washington Area. Her knowledge of the capital region proves to be extremely useful when she represents Buyers or Sellers. Marilyn is in the Top 1% of All Agents Nationwide and has a faithful following of satisfied customers. 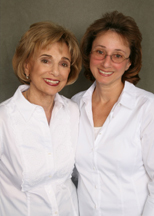 She has partnered with her daughter Jody, and together as the “Miracle Mother and Daughter Team” have over forty years of combined Real Estate Experience. Through hard work, sensitivity and knowledge of the business, Marilyn and Jody are committed to finding you the perfect home. Whether you are a first-time home buyer, relocating to our area or looking for a lifestyle change, we will be there every step of the way. WOW! Two bedrooms + two baths + den = 1420 sf of great space. This R model features a totally remodeled kitchen from top to bottom!! White cabinets, stainless appliances, granite counters , new floor & lighting, table space kitchen, spacious dining room, enclosed sunroom with peaceful view and your own laundry. Freshly painted !! 2nd bedroom & LR open to enclosed sunroom .Spacious Master bedroom with walk-in closet & bathroom with separate vanity area. . Plenty of closet space. Give us a call today. Come Live the Leisure World Lifestyle! Gated community ( 55+) with tons of amenities!! Including swimming ,golf, tennis ,walking paths, fitness center, clubs, shuttle bus, clubhouse & restaurant ! !